He knows Peggy Simmons through some of the extra work that he does with ATD Fourth World. She did a wonderful writing workshop with the teachers at UNM Gallup North. Elena Berman was in the very first Green Windows workshop in 2008. She has since written in every workshop she can, supported and advised the founder and organization, used the workshop method in her own work, and substitute facilitated. Elena is a playwright mentor for Each One Reach One in the San Francisco Juvenile hall. She has facilitated writing workshops with children of incarcerated parents, homeless seniors, and youth in the juvenile justice system and believes in the transformative power of creative writing. Brian Bingham is a relationship counselor and a former radio personality. Currently, he is a Juvenile Institutional Officer, at Alameda County Juvenile Justice Center (the county’s juvenile hall) where he has supported Peggy’s various writing workshops over several years. ​Brian’s greatest passion is social justice; which encompasses public safety, education, prison reform, access to healthcare and advocacy for marginalized populations. He is the founder of "Son of Promise," a mentoring and advocacy organization and has many community partnerships and philanthropic commitments including City of Oakland Commissioner, Citizens' Police Review Board. Amy Cheney, currently the District Library Manager for Oakland Unified School District, is a librarian and advocate, serving the underserved for over 25 years including preschoolers, middle schoolers, adults in county and federal facilities, students in juvenile halls, non-traditional library users and people of color. She founded In the Margins book award and committee. She worked with Peggy bringing her writing workshops to the Alameda County juvenile hall youth during the daytime hours and has attended her community workshops. Jen Cross is the founder and facilitator of Writing Ourselves Whole, an organization that offers transformative writing workshops for sexual trauma survivors and others. Jen holds an MA in Transformative Language Arts from Goddard College and is an MFA candidate at San Francisco State University. Her fiction and creative nonfiction have been widely anthologized. She is grateful to be in AWA community with Peggy and Green Windows workshops! Jon Eldan is an attorney in Oakland, California. He is the founder and director of the non-profit After Innocence, which provides re-entry assistance to exonerees – people who had been incarcerated for crimes they did not commit – and advocates for policy reform on their behalf. After Innocence has assisted more than 400 exonerees nationwide with access to healthcare, public benefits and legal services. His work has been featured in The Marshall Project and HuffPost. ​Xochtil Larios is a Youth Researcher at Communities United for Restorative Justice (CURYJ). She is an amazing poet and has written in Green Windows' monthly workshops and juvenile hall SEEP workshops. She tells everyone, “If plan A did not work then the alphabet has 25 letters more, so keep your pride lifted and your gears constantly shifting.” You can read about the SEEP workshops and one of Xochtil’s poems here. 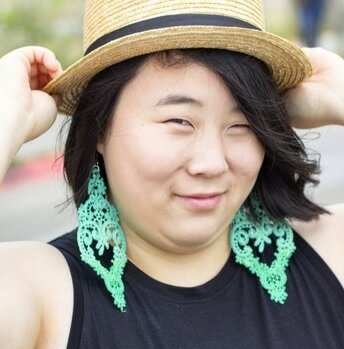 Stephanie Yun is an aspiring non-binary artist/educator of the Korean diaspora. In 2012, Stephanie was named Oakland's first Youth Poet Laureate, and has since served as a Youth Speaks poet mentor apprentice, as well as a student teacher with June Jordan's Poetry for the People Program at UC Berkeley. They currently work as a Library Aide for the Oakland Public Library, and will also serve as a BAYAC AmeriCorps member with 826 Valencia for the 2017-2018 program year.